Ichnanthus glaber Link ex Steud. 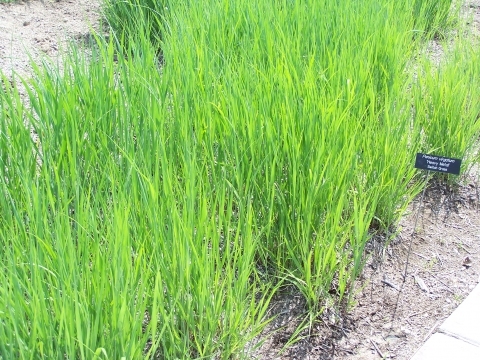 Panicum purinisum Bernh. ex Trin. Panicum virgatum is a hardy, perennial, rhizomatous, clump-forming grass growing 180 - 220cm tall. . Culms 60-300 cm long. Found in many areas of the world, especially in the temperate and subtropical zones, but also in the tropics, especially in the Americas.